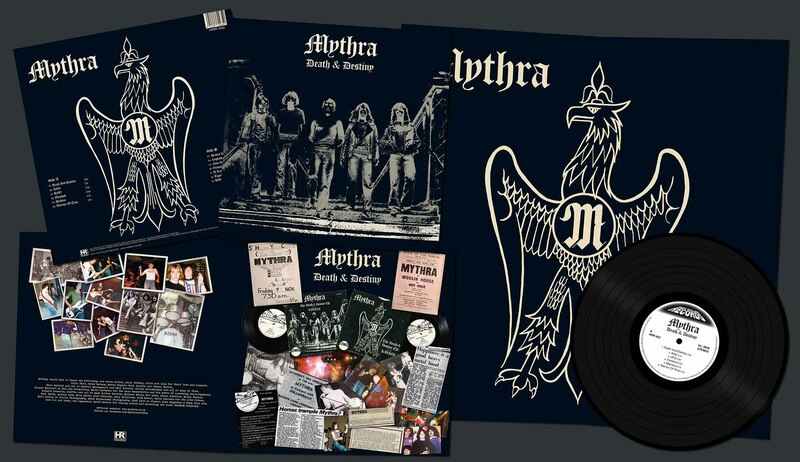 Mythra were originally formed in South Shields in county Durham in 1978. In contrast to other groups from the North East active around the same time, for example Axe, who later turned into Fist and whose “Name, Rank & Serial” number was covered by Mythra in the very early days, Vince High and his boys did show precious few similarities with seventies bands like Deep Purple, Led Zeppelin or Black Sabbath. 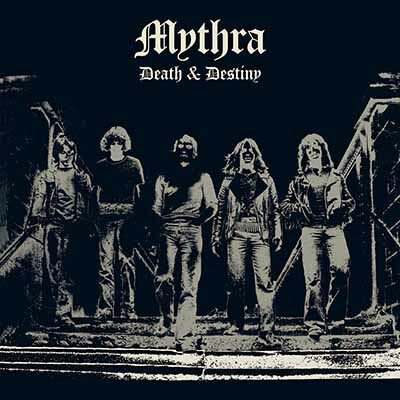 Mythra’s sound was geared towards the future of metal, not re-visiting past hard rock glories. 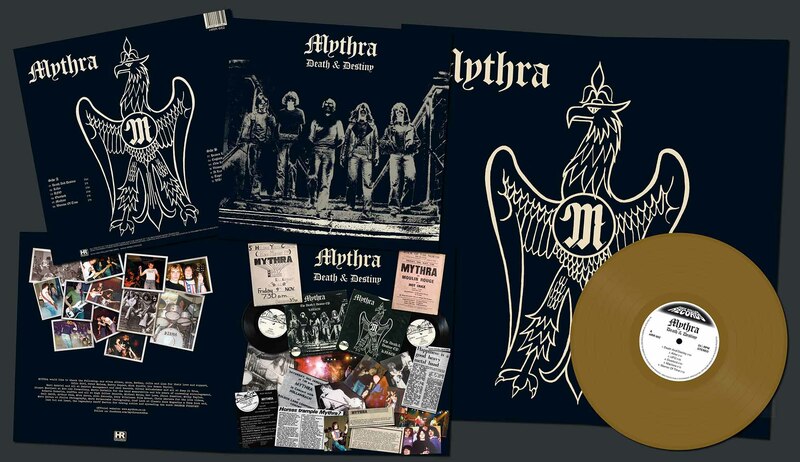 Along with other acts such as Raven, Satan, Jaguar and Blitzkrieg, Mythra might as well bee seen as indirect forerunners of American speed metal outfits such as Exodus, Metallica and Slayer. 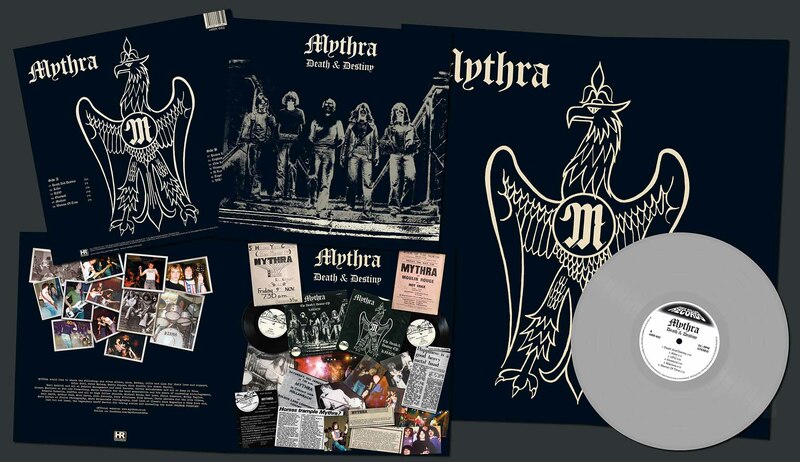 Out of the thirteen songs present on »Death And Destiny – 40th Anniversary LP« (including the four tracks from the popular EP), featuring the entire catalogue of the band’s studio recordings between 1979 and 1981, Mythra would have most probably chosen the material for a possible debut album, which unfortunately never saw the light of day during the heydays of the glorious New Wave Of British Heavy Metal in the early 1980s.